The Shelby American Collection is located in Boulder, Colorado. 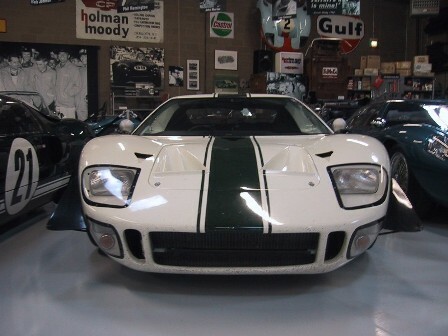 It is host to a collection of Shelby Cobra's, GT40s, GT350s, and Daytona Coupes, many of which are still raced, as well as authentic memorabilia. The Shelby American Collection has on display some of the most famous Shelby American cars ever built. Stop by the website and check them out. Picture courtesy of the Shelby American Collection.